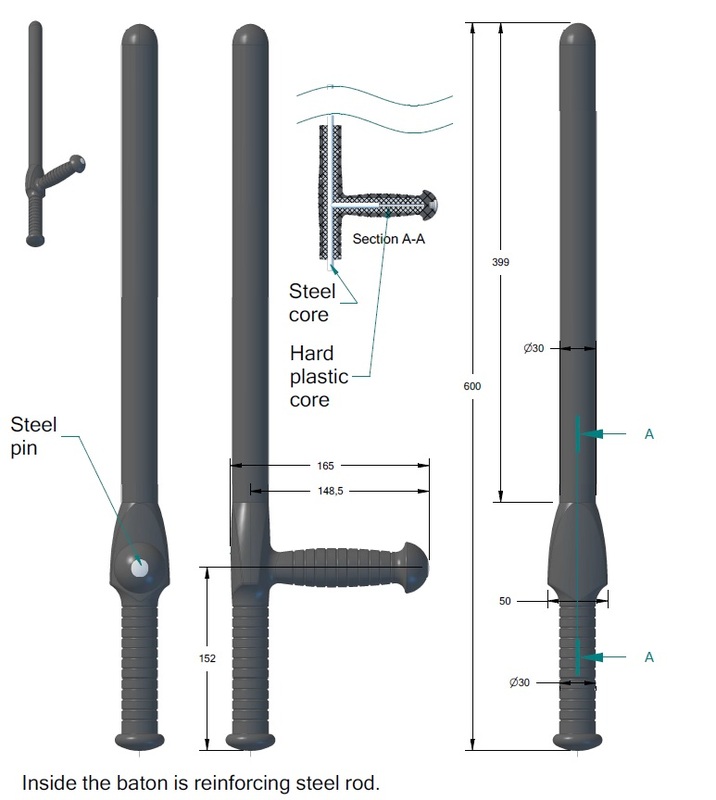 We are the only manufacturer in Poland producing reinforced police batons. 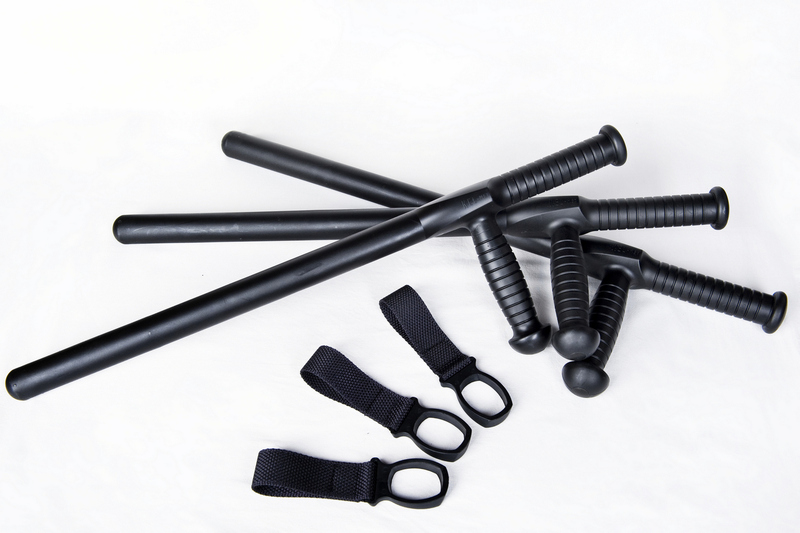 Our police TONFA batons are weapons which, if held properly, enable the user to stop even the most powerful hit. They are designed for fast neutralization of an enemy. Our TONFA baton is well weighed which ensures its usability and makes it universal. The baton is attached do the belt with metal or plastic holder. Used mainly as obligatory equipment in police forces and security services. TONFA baton produced by KEL-MET is the only baton on Polish market reinforced with fexible metal rod that increases its resistance. 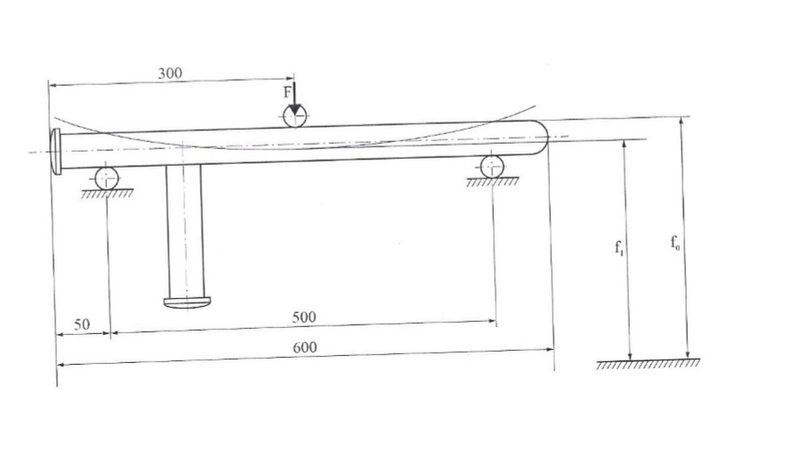 Additionally, there is a metalpiece at the end of the grip for braking glass. Special construction and proper materials applied (two kinds) give our TONFA batons not only high static resistance but also high impact resistance. Taking into account its construction, KEL-MET's TONFA BATON is considered to be a weapon and as such it requires license to be manufactured. Our company obtained license No. B-020/2012 for production and trade of explosives, weapons, ammunition as well as products and technology for military or police use. Please contact us in case you would like to purchase our products. Ask us questions. We will reply within 24 hours. Manufacturer of stainless steel handcuffs, hinged handcuffs, plastic restrainrs, military products, we produce cuffs for feet and hands, lead for minors, police tonfa batons. 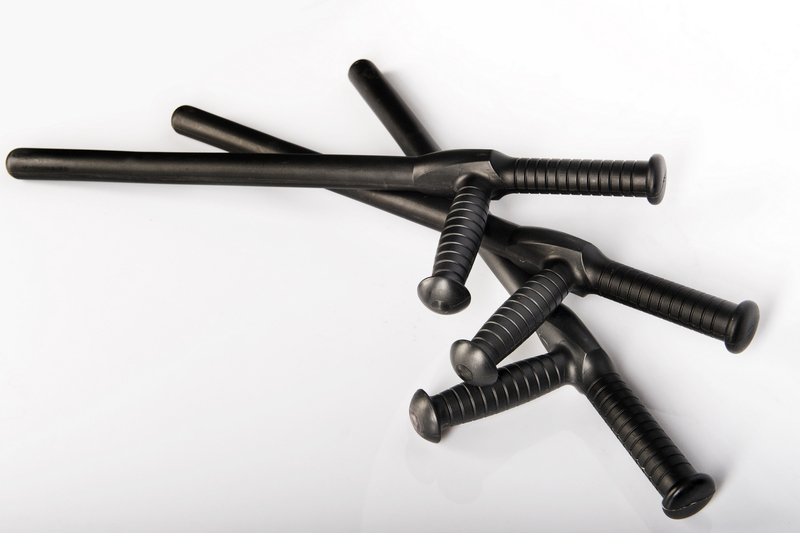 We supply police and prison in handcuffs, batons and other defense products.